Dental fillings, also known as composite or tooth-colored fillings, are the most common type of dental procedure performed outside of dental cleanings and exams. Dental fillings are a simple procedure and are done to fill cavities and prevent your tooth from experiencing further decay or harm. Boss Dental Care in Corpus Christi offers composite fillings for patients who have cavities or want to replace their unsightly amalgam fillings with a natural looking replacement. Read on to find out answers to the most frequently asked questions about composite fillings and dental fillings in general. Are Amalgam Fillings a Safe Choice? Before considering going for amalgam fillings because they are the cheapest solution at your dentist or one you know of. First of all, amalgam fillings have been banned in European countries due to worry about the safety of mercury in the body. Amalgam fillings have small amounts of mercury in them and the FDA is concerned it will harm humans. It’s already recommended that pregnant women, children, and people with weak immune systems do not receive amalgam fillings. Although many dental groups and associations believe amalgam fillings can be harmful, it is not outlawed and many dentists still offer them In their practice. You can chat with Dr. Packard about your concern about amalgam safety. Another reason dentists don’t typically recommend amalgam fillings is because they aren’t as strong as composite fillings and they don’t look attractive, especially if you need a cavity filled in the front of your mouth. Choosing to have amalgam fillings is completely up to you! Please consult with your dentist for all questions you have. After your dentist in Corpus Christi has given you a dental filling, there isn’t much care involved outside of your normal routine. This means you still need to floss daily and brush at least twice daily. Also be sure to visit us twice a year for dental exams and cleanings to ensure your filling is still intact and protecting your tooth perfectly. Unfortunately, fillings don’t last forever and will need to be replaced after many years. During your dental exam, we will make sure you don’t need a replacement and check for cracks or chips in the filling. X-rays can show us where all of your dental fillings are and we will be able to see if one needs to be replaced simply from the x-ray. What Happens After I Receive a Filling? First of all, you will receive a filling if you have a cavity, root canal, or your tooth has a crack or chip in it that may cause further damage or expose your tooth to harmful bacteria. After your simple composite filling procedure, your tooth may feel an increased level of sensitivity. This can last for around two to three weeks. Some patients don’t feel any discomfort after receiving a filling, while some just require a few over-the-counter pain relievers. If for any reason you experience significant pain or sensitivity please be sure to give us a call so we can evaluate what the cause of the problem is. In very rare occasions, patients may experience an allergic reaction to the composite resin. Usual symptoms include a skin rash or itchiness. If this occurs, your Corpus Christi dentist will replace your filling with a material you are not allergic to. Why Was I Recommended a Temporary Filling? If your dentist is giving you a temporary filling, this means there is more work to be done but during another dental visit. After the work for the first appointment has been done, your dentist will insert a temporary filling to work as a barrier and to protect your tooth until your next dental visit where your dentist will complete the procedure and provide you with a permanent and long-lasting filling. The temporary filling will prevent bacteria from going into your tooth. A temporary filling may also be recommended when your dentist is waiting for a dental crown to return from the lab after your root canal. Once your permanent restoration is ready, the temporary filling is removed and the permanent solution is installed. Will My Insurance Cover Dental Fillings? When it comes to dental insurance, more insurance companies will cover everything that has to do with preventative dentistry, and with that usually comes with composite fillings. This is because when a cavity is caught early, a filling is a simple treatment that can stop it in its tracks. Dental insurance companies usually stop covering dental treatments for problems that go past the need for dental fillings. If for any reason your insurance doesn’t cover dental fillings, don’t worry, dental fillings are a relatively cost-efficient treatment. We offer lots of different payment options at our Corpus Christi office to accommodate all patients. Contact your insurance company to find out what kind of coverage you will receive for dental fillings. What Materials Can Dental Fillings Be Made Out Of? There are lots of different options when it comes to dental fillings and with this comes a variety of materials used. The most common types of dental fillings include composite resin, plastic, gold, porcelain, and silver amalgam. Depending on your dental problem, your dentist will recommend the best dental filling material for your needs. The different materials have different strengths and appearances. Most patients opt for tooth-colored fillings like composite resin, porcelain or plastic to maintain a natural-looking appearance. More Dental Fillings Questions? Contact Us! If you have any questions about dental fillings, please get into contact with our general dentist in Corpus Christi. 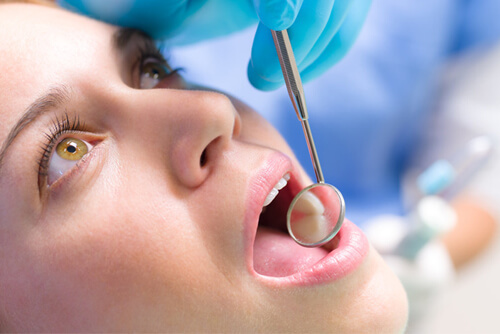 We provide a variety of dental filling solutions for each individual patient’s needs. To answer your questions, you can reach us by phone, by filling out our online contact form, or by just asking them in person at your next dental exam in Corpus Christi. We are happy to answer all of your dental filling questions.